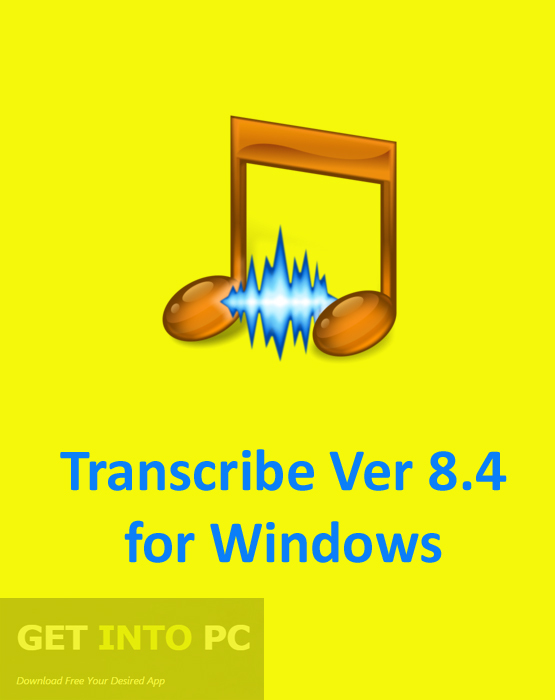 Transcribe Ver 8.40 for Windows Free Download Latest Version. It is full offline installer standalone setup of Transcribe Ver 8.40 for Windows 32/64 bit PC. 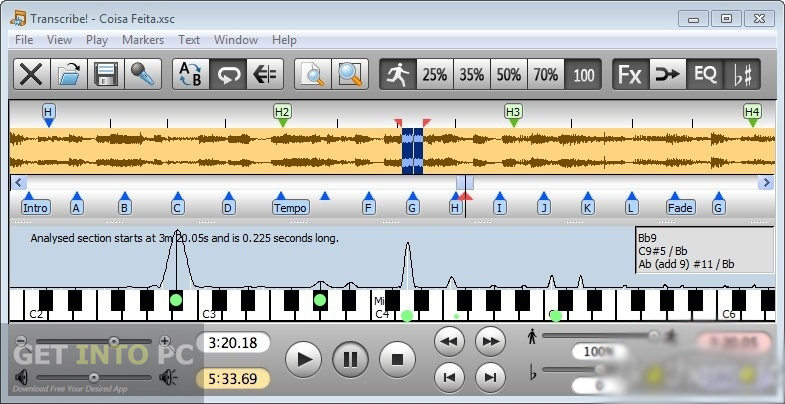 Transcribe Ver 8.40 for Windows is an application that can be used for working out music from any recording. In past you had to listen to a cassette over and over again to take notes for playing it on a guitar or piano. Transcribe made the working out job very simple and easy. Transcribe has got a very simple and straightforward interface. The simplistic nature of the interface does not guarantee that anyone can use it to its fullest. 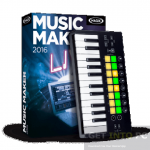 A basic understanding of music is necessary to take the full juice out of this application. At the center stage of the interface there is an oscillator related to the song that you have opened. 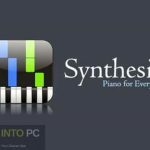 At the lower end of the interface you will find out a piano keyboard plus some of the basic controls like play, pause, stop and volume level etc. You can alter the speed of the song according to your preferences from 20% to 100%. The volume level of different sounds in a song can be increased or decreased easily. 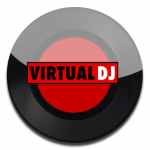 You can also add your own voice in a song as recording is also supported. 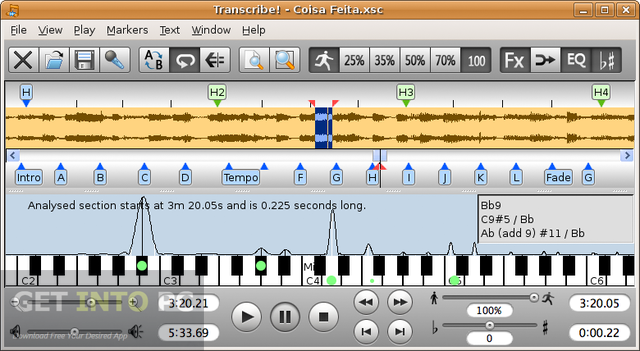 Transcribe supports multiple file formats and you can import songs in WAV,OGG, WMV, MP3 and AVI etc. One thing should be noted here that you can export your songs in only WAV or XSC format. Below are some noticeable features which you’ll experience after Transcribe Ver 8.40 for Windows free download. 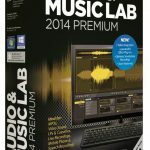 Can use to work out music from any recording. 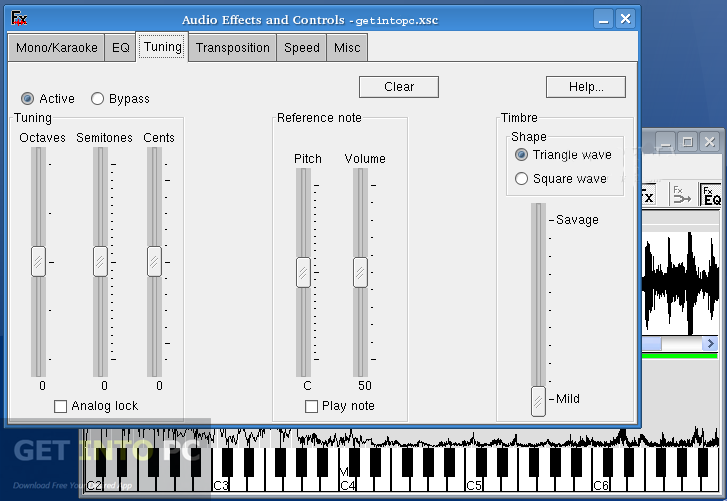 Basic controller like play, pause and stop are provided on interface. Can change the speed of the song from 20% to 100%. 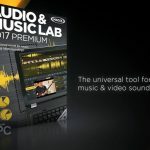 Can alter the volume level of different sounds in a song. Can add your own sound into the song. Before you start Transcribe Ver 8.40 for Windows free download, make sure your PC meets minimum system requirements. Click on below button to start Transcribe Ver 8.40 for Windows Free Download. This is complete offline installer and standalone setup for Transcribe Ver 8.40 for Windows. This would be compatible with both 32 bit and 64 bit windows.